Think of smart design in crisp, neat pleats — the Hunter Douglas Cellular Honeycomb and Pleated Shade window treatments fill the bill! Hunter Douglas created the original cellular shade with the Duette® line. These honeycomb shades are specifically engineered to provide beauty and energy efficiency at the window in both cold and warm climates. Their unique construction traps air in distinct pockets, which creates insulation that can help lower your energy consumption and energy bills. Pleated Shades embody the energy of color and pattern. Bold patterns and designs are featured in woven fabrics with interesting textures and varying levels of opacity. Duette® features innovative honeycomb construction that creates air pockets where light meets color. Duette® insulating shades are available in a standard single-cell design or as the premium multi-cell Duette® Architella® — which features a honeycomb within a honeycomb for maximum energy efficiency. It's the most energy efficient solution of the Duette® line of shades. Duette® shades can be horizontal or vertical. Operating systems for Duette® include: PowerView®, LiteRise®, UltraGlide®, Vertiglide™, Top-Down/Bottom-Up, Duolite®, LightLock™, SkyLift™. Pleats: 3/8", 3/4", or 1-1/4", 1-1/2"
All Duette® Cellular Honeycomb shades are available in an extensive range of colors, textures and fabrics to meet any design need. 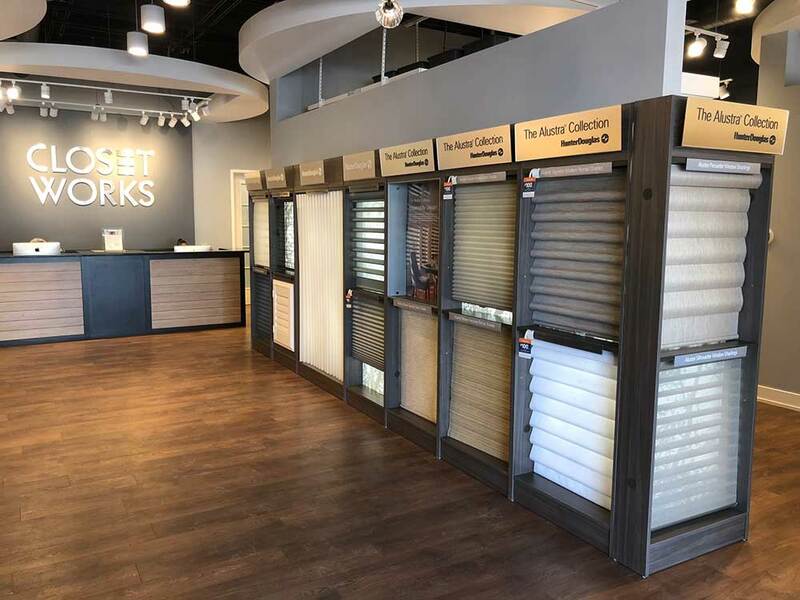 Additionally, Duette® Shades are also offered with the Alustra® Collection of textiles — an exclusive, design-inspired line of fabrics, textures, colors and hardware finishes. See your designer for a complete listing of samples. Applause® Honeycomb Shades are very similar to the Duette® single-cell shades. However, this economical line is available in a limited selection of colors and textures that are very friendly on the budget. Operating systems for Applause® include: PowerView®, LiteRise®, UltraGlide®, Vertiglide™, Top-Down/Bottom-Up, Duolite®, SkyLift™. Applause® Cellular Honeycomb shades with LiteRise® operation. 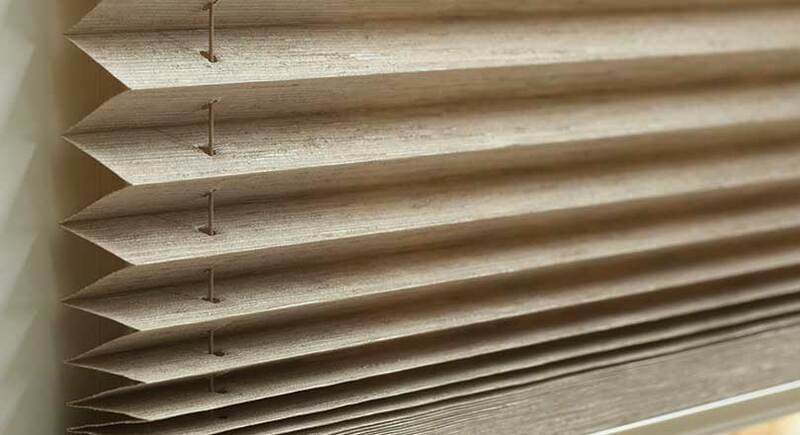 Applause® Cellular Honeycomb shades are available in a limited pallete of the most popular colors and fabrics. See your designer for a complete listing of samples. Liven up your space with bold, modern colors and patterns that range from orange to blue to every color in between. 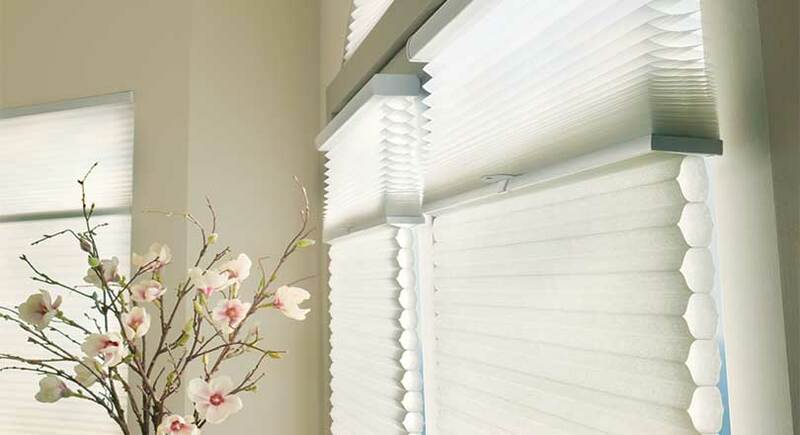 Use these cost-effective pleated shades when you are looking for a look that's classic and elegant, but with a contemporary flair. Operating systems for Pleated Shades include: PowerView®, LiteRise®, EasyRise™, Standard Cordlock, Top-Down/Bottom-Up, Duolite®. Pleated shades in Luxe fabric by Hunter Douglas. 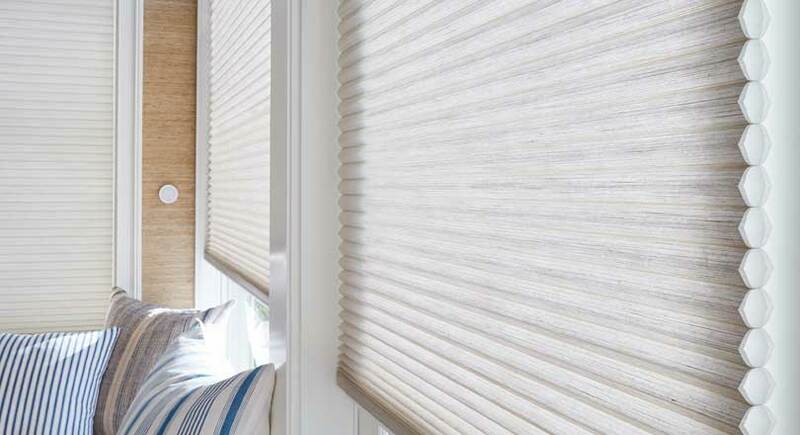 Pleated Shades are available in 55 different patterns, textures, fabrics and colors. See your designer for a complete listing of samples.